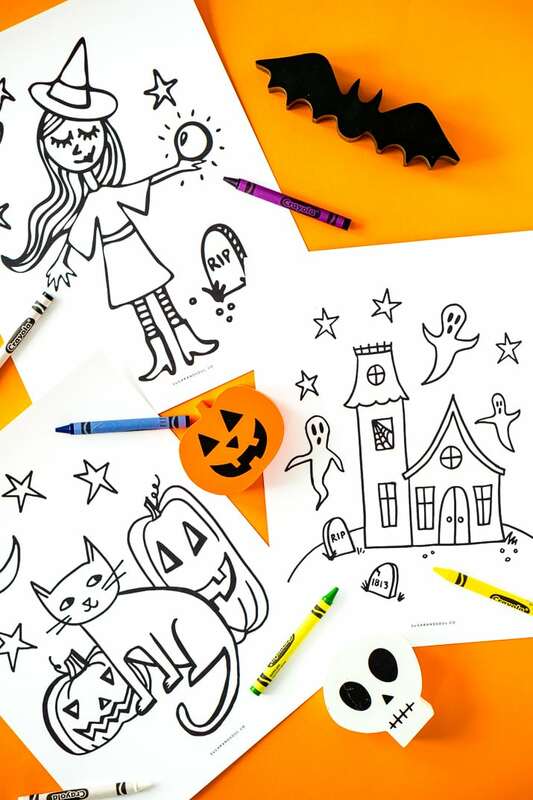 These Free Halloween Coloring Pages are an easy way to add entertainment to the spookiest month of the year! Print them right at home and let your kids color! Halloween is full of frights and fun, and if you want the kids to get into the spirit (in a not-so-scary way!) 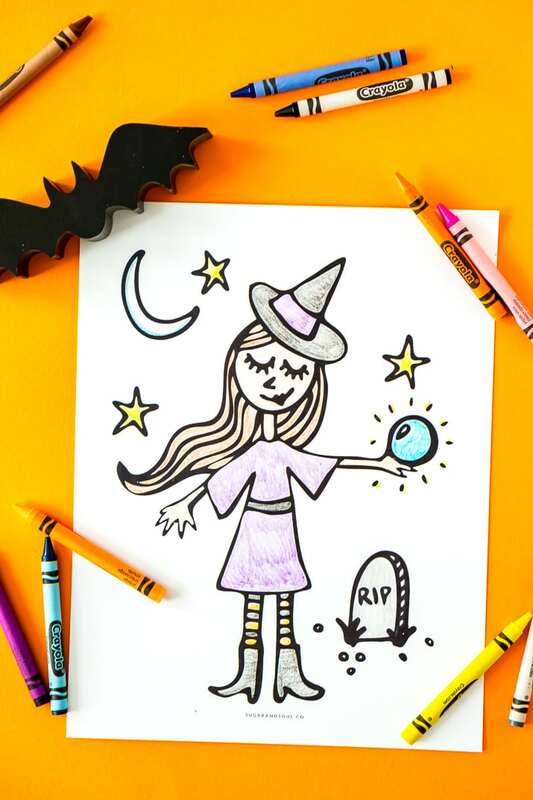 check out these Free Halloween Coloring Pages that you can print so your kids can get creative. With Halloween is just around the corner, and it’s a widespread favorite. There are so many things that are appealing about this holiday that it’s really no wonder why everyone gets excited about its arrival! Those who like scares enjoy horror movies and the generally spooky atmosphere, not to mention all the creepy (or cute!) costumes that are worn for the occasion. As for me, I love the fall weather, the foliage, the DIY decorations (pumpkin carving, anyone? ), and making and sharing lots of pumpkin and apple recipes! Oh, and let’s not forget about all that candy! But the best part about any holiday is spending time with friends and family and making memories. 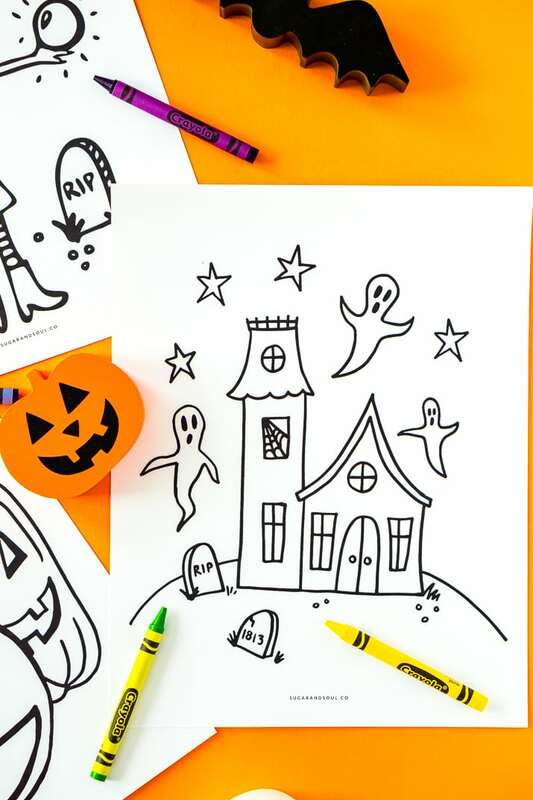 If you have kiddos at home, try planning some simple (non-sugar-related) activities that you can do together, like making art with these festive Free Halloween Coloring Pages. Our everyday lives are filled with TV, video games, and iPhones, and sometimes it’s important to go back to some simple means of entertainment. 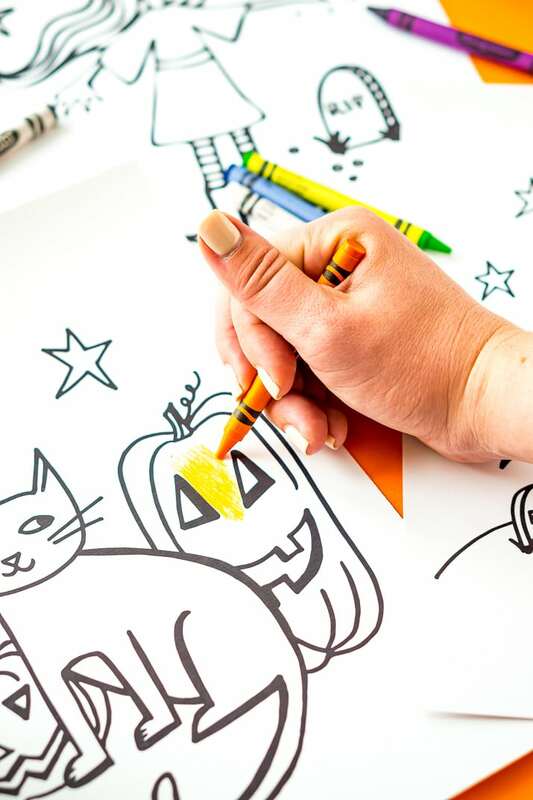 The only reason you’ll need a computer is to search “Halloween Coloring Pages Printable,” print, and go! 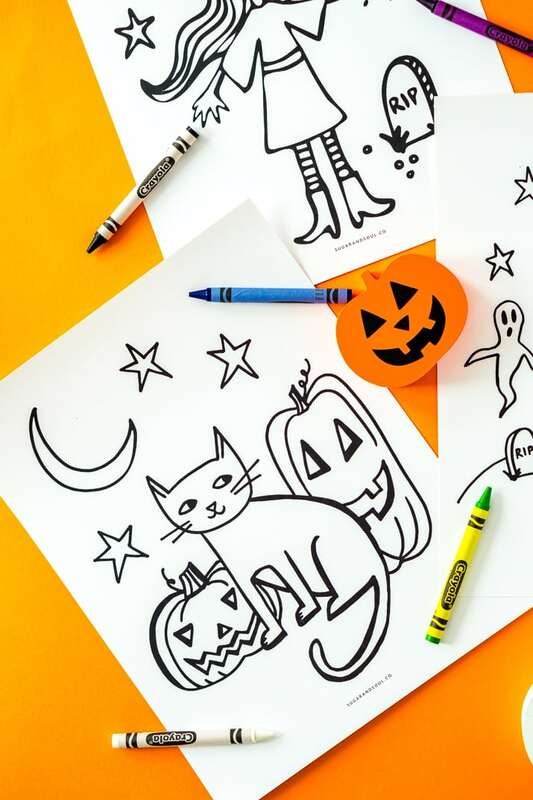 In addition to coloring, you can do tons of other crafts with these Free Halloween Coloring Pages! So break out the art supplies and let your kids’ imaginations go wild. Use these items to make the outlines come to life. Then cut them out for collages, mount them on construction paper — the list goes on. These pages are a great source of entertainment for a kid-friendly Halloween party. If you’re a teacher, they can even be used for school crafts or projects. Or, you can have the entire family show off their art skills — while you save money — by making some homemade decorations to put up around the house so it looks fun and festive! 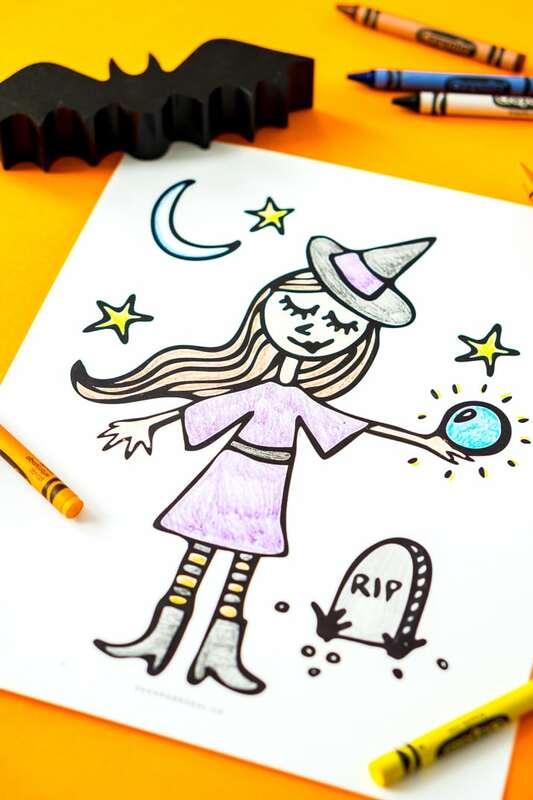 Gather everyone together and get creative with these Free Halloween Coloring Pages! Arts, crafts, and family — there’s no better way to get into the Halloween spirit!